Amat Adarov discussed challenges & prospects of Eurasian Economic Integration at the international forum 'Eurasian Economic Union' organised by the Austrian Chamber of Commerce. 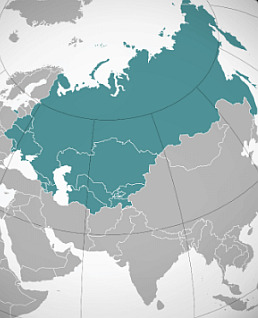 Implications of the Eurasian Economic Union (EAEU) comprising Armenia, Belarus, Kazakhstan, the Kyrgyz Republic and Russia have been discussed at a recent forum. The forum gathered over a hundred experts from policymaking circles and business community representatives from Austria and the Commonwealth of Independence States (CIS). wiiw Economist Amat Adarov gave an overview of the content of the EAEU framework, and highlighted key economic asymmetries of the bloc and its prospects. The EAEU has been facing significant difficulties in the recent years as Russia, comprising over 80% of the bloc’s economy, experienced a two-year recession and macroeconomic shocks quickly spilled over to other member states of the union through vast exposures due to intensive trade, investment and labour migration linkages. The countries are largely specializing in the exports of commodities, agri-food and other low value-added sectors and are heavily dependent on imports of technology-intensive products. Besides tackling remaining non-tariff barriers within the EAEU, addressing the issues associated with poor compliance to regulations, challenges associated with divergent WTO membership obligations (Belarus is the only country of the bloc still not a member of the WTO), and other country-specific challenges, the need to modernize the economies and mitigate the natural resource curse is still very high on the reform agenda for all five economies, but much more difficult now as petroleum prices are not likely to reach the high levels of the 2000s due to the expansion of the shale technology. In these challenging circumstances it is nevertheless important to facilitate integration ‘from Lisbon to Vladivostok’ spanning major integration endeavours, including the EU, the EAEU and China’s New Silk Road initiative. It is crucial to get back to the agenda of building bridges rather than walls, and isolationist policies and the notion of ‘competing integrations’ are best avoided to yield way for a constructive dialogue to find areas of common interest at least along some mutually beneficial economic dimensions, e.g. cross-border infrastructure, cooperation in regional and global value chains. Amat Adarov leads a research project supported by a grant from the Austrian National Bank analysing the economic implications of Eurasian integration and ways to facilitate mutually beneficial cooperation between integration blocs.